San Vicente is a small farming community of about 3,500 people. This community is mostly indigenous people who are originally from others parts of Mexico. 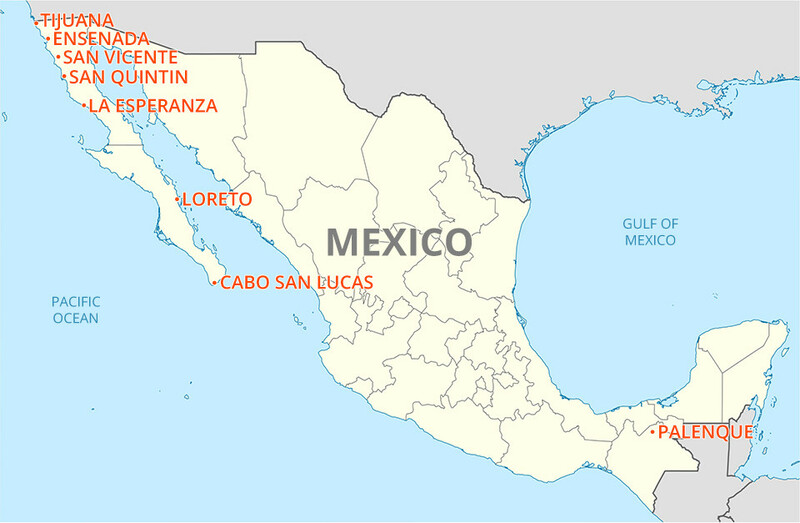 San Vicente is located 140 south of San Diego, CA, on the west side of the Baja peninsula. The trans-peninsula highway, the only road running the full length of the peninsula, goes right through the center of this community. San Vicente’s main industry is agriculture, with grapes and olives being the primary crops. However, there are many other types of production also, including tomatoes, beans, broccoli, cut flowers, etc. Most of this production is shipped to the United States. Many tourists pass through San Vicente, but few ever stop. The community is actively trying to expand its services to attract tourists. They have opened new restaurants, an interesting museum of local history, and built a new motel as well as many other businesses to attract people as they are traveling. There are a few small active evangelical churches in San Vicente, two of which the Johnsons partner with in ministry. From this location it is easy to ministry from Ensenada in the north to San Quintin in the south. Within this two-hour radius there are many small communities as well as several migrant labor camps. Many of these people know very little about the Bible and God’s love and grace. The Catholic Church is still strong in San Vicente, and most people would consider themselves Catholic. Indigenous & Migrant farm laborers, as well as working middle-class families. Ministry will be in the San Vicente area as well as neighboring communities and nearby Ranchos.